Study finds climate of the past behaved as hemispherical opposites | Watts Up With That? This is from a press release from the Korean Institute of Geoscience and Mineral resources (KIGAM) The English in the PR is not the best, but is does have an interesting finding. Korean research team revealed conflicting climate change patterns between the middle latitude areas of the Northern and Southern Hemispheres in relation to glacial and interglacial cycles which have been puzzled for the past 60 years. Doctor Kyoung-nam Jo from the Quaternary Geology Department of the Korea Institute of Geoscience and Mineral Resources(KIGAM) revealed a clue for solving the riddle of past global climate change in his paper titled ‘Mid-latitudinal interhemispheric hydrologic seesaw over the past 550,000 years’ which was featured in the journal Nature. This study collected samples from the stalagmites and flowstones in limestone caves which are called ‘hard disks’ containing the past climate change data and revealed how much they grew in which eras through isotope analysis and age dating, and traced the past climate changes by applying them to global climate change over 550,000 years. For this study, Doctor Jo explored over 200 caves in Korea and collected 24 samples from stalagmites and flowstones in 15 limestone caves. As a result of analyzing the growth through U-series age dating, it was found that they grew well during interglacial eras when it was warm and moist, whereas their growth stagnated during glacial eras. By comparing this data with existing external climate change data which were obtained from solar insolation, glaciers, and deep sea sediments, he found that the same climate change phenomena appeared in the same periods. In particular, he and colleagues revealed the fact that climate changes in the Northern and Southern Hemispheres showed opposite tendencies by analyzing the fact that stalagmites and flowstones in the temperate zones of the Northern and Southern Hemispheres had opposite growth periods. This suggests for the first time that the so-called phenomenon of the interhemispheric hydrological seesaw that the precipitation changes in the tropical regions show opposing tendencies between Northern and Southern Hemispheres had been spread to the temperate region in which the Korean peninsula was located at least for the last 550,000 years. Due to the interhemispheric hydrological seesaw, when it rains frequently in a region that belongs to the intertropical convergence zone (ITCZ), it accelerates the growth of plants and increases the temperature, whereas other areas exhibit cold dry weather. This theory has been applied only to the tropical region and had not been significance in global climate change. However, if it is expanded to the temperate regions by the study of Doctor Jo, the seesaw phenomenon may be regarded as another key factor besides the insolation change which has been regarded as the most powerful factor in the glacial and interglacial cycles. The findings of this study are attracting very keen interest from academic circles because they can be used to explain past climate change and predict future climate change. In particular, as the different climate change mechanisms by region were revealed, it is expected that a more accurate global climate change model could be created. Doctor Kyoung-nam Jo is a specialist on the research of ancient climates using cave products. After graduating from the department of geology of Kangwon National University, he received master and doctorate degrees in the graduate school of the same university. Now he is conducting research in the Korea Institute of Geoscience and Mineral Resources. June 18, 2014 in Paleoclimatology. So, I guess now the new “scare-em” headline will be CHAGW? This page has a video showing Dr. Jo’s research. Although it is in Korean, it contains an interesting graph, and animation of stalagmite growth from different locations over time (also shows the locations of some of the caves). My wife is Korean, and when she returns home, I’ll ask her to translate for me. That seems to jive with the fact that almost all the warming during the 90s was in the NH. And why Antarctica ice is growing. Tim, I’ve always wondered, are you in Chiang Mai? Perhaps this phenomenon can be explained by the Milankovitch precession cycle? Here in Australia, water going down the drain spins in the opposite direction, too. Perhaps I missed something (wouldn’t the first time), but might not the fact that the seasons are opposite in the NH and SH have something to do it? JimS suggested this may have something to do with Milankovitch’s precession cycle, but I believe it is the eccentricity of the elliptical orbit that would better explain the differences between the northern and southern hemispheres. As I understand them, both the tilt and precession cycles would move both hemispheres toward or away from a glaciation at the same time, but the eccentricity cycle would have opposite effects on the hemispheres. 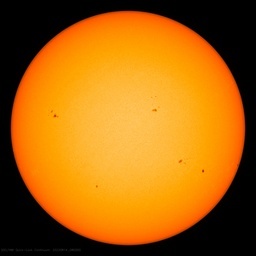 The Sun changes magnetic polarity after aprox 22 years and Earth does not? Is this perhaps related to, and builds on, this study of the Atlantic Ocean currents? Cardiff University. “Oceanic Seesaw Links Northern And Southern Hemisphere During Abrupt Climate Change During Last Ice Age.” ScienceDaily. ScienceDaily, 3 March 2009. . The new study suggests that abrupt changes in the north were accompanied by equally abrupt but opposite changes in the south. It provides the first concrete evidence of an immediate seesaw connection between the North and South Atlantic. The data shows, for example, that an abrupt cooling in the north would be accompanied by a rapid southerly shift of ocean fronts in the Southern Ocean, followed by more gradual warming across the south. I came across this. You might want to take a read and rip it apart in an utterly thorough fashion. 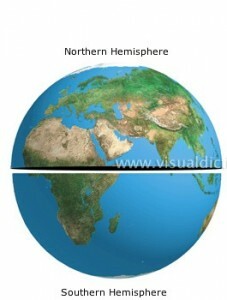 There have been several lines of evidence that the hemispheres do not run in sync. A lot of warmist claims that LIA was predominantly a NH phenomenon. Opposite tendancies of polar trends as we are currently seeing, often refered to as “polar see-saw” and differences of timing in the changes that marked the end of last glacial period. IIRC Toggweiler has done quite a lot of work on the shifting of the ITCZ. Clearly the climate system is not two symmetric halves working in sync. However, looking at cross-correlation shows the strongedst peak at a lag of about three years and plotting this lag shows a lot of short term commonality but still opposing trends on a inter-decadal scale. It seems likely that longer term variations are out of phase too. There are clearly large scale changes that produce opposing effects in each hemisphere. Since the NH has more land and thus less heat capacity at the surface it’s temperatures will vary more than SH. Thus the usual obsession with metrics like “global mean surface temperature” could suggest “global warming” even if the global heat content did not change. More ammo for the Svensmark hypothesis? I wonder if stalagmites and flowstone are currently stagnating in Australian caves? Seeing as it is getting colder down there, and rainfall has (supposedly) fallen off……..
No,. As a matter of fact the Earth’s magnetic field polarity changes on a much longer time scale. Typical ranges are from 0.1 my to 1 my. (Google; Geomagnetic field reversals). The above post reminded me of something I saw this from yesterday from Hockeyschtick. ……Spatial trend patterns differ for the warm and cold extremes, with the warm extremes showing continuous positive trends across the globe and the cold extremes exhibiting a coherent cooling pattern across the Northern Hemisphere mid-latitudes that has emerged in the recent 15 years and is not reproduced by the models. This regional inconsistency between models and observations might be a key to understanding the recent hiatus in global mean temperature warming. Centennial-scale climatic fluctuations (cycles apparently being a term non-grata among some here) such as the Little Ice Age and Medieval Warm Period have been conclusively shown global. However there could well be differences in temperate zone hemispheric responses to those climatic changes. A seesaw between Arctic and Antarctic has also been suggested for the descent from an interglacial into a glacial. If you have ever viewed one of the websites that shows a 24 time-lapse view of worldwide aviation traffic you had to see that traffic peaks during daylight hours and drops to almost nothing during the periods of darkness. I wonder if the calculation of albedo versus blockage of outgoing radiation accounts for this day/night differential; or if it is assumed that contrails are evenly distributed during night and day. I speculate that the net effect of contrails may be to reduce temperatures by blocking some incoming solar during the day and permitting outgoing radiation during the night. Would be interested in seeing whether that is a supportable hypothesis. How the LIA almost disappears when looking at global temperatures for that time. Rates of growth of cave carbonate deposits is a really poor way to correlate climate changes because there are so many local or regional effects that are not related to hemispheric climate changes but affect rates of carbonate growth. What is important about cave deposits is their oxygen isotope and radiocarbon fluctuations, which show excellent correlation of climates between hemispheres. In addition, the glacial record in both hemispheres shows excellent correlation of climate changes between hemispheres. In the NH, during glacial phases, the winter Siberian High increases in intensity, and the Eurasian Summer Low weakens, both effects decreasing precipitation around the periphery of Eurasia, including Korea. There is nothing comparable in the SH, and the main precipitation effect is the Southern Ocean low pressure systems track further.north increasing rainfall over Australasia and much off ex-tropical South America and Southern Africa. There is nothing in the paper that needs explanation. Climate and climate change are ocean driven. Bipolar seesawing is linked to inter-hemispheric heat piracy. At present this os happening at the Atlantic equator. Warm water from the SH is “pirated” across the equator by a current that becomes the Caribbean current (pirates of the Caribbean). Thus part of the gulf stream warmth that has been recently melting the Arctic ice has been borrowed from the SH where, reciprocally, the Antarctic has been cooling and expanding.